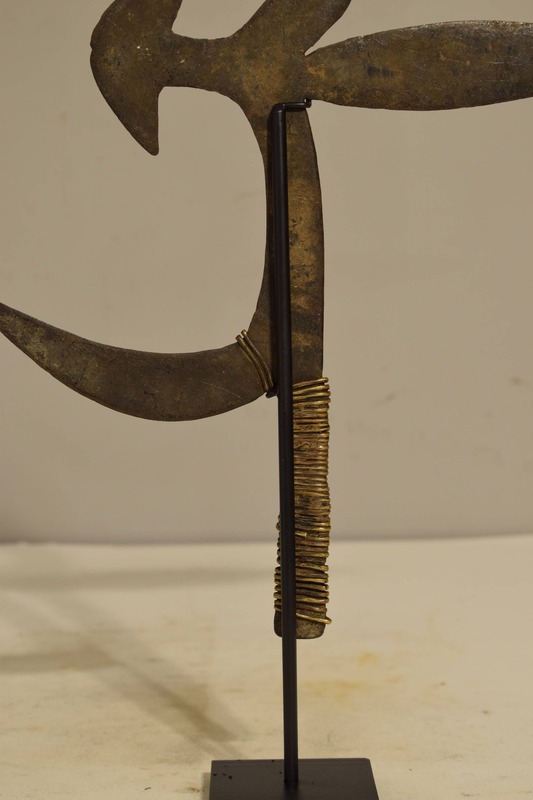 This is a wonderful African Ngbaka Tribal Throwing Knife from Zaire, The Democratic Republic of the Congo. 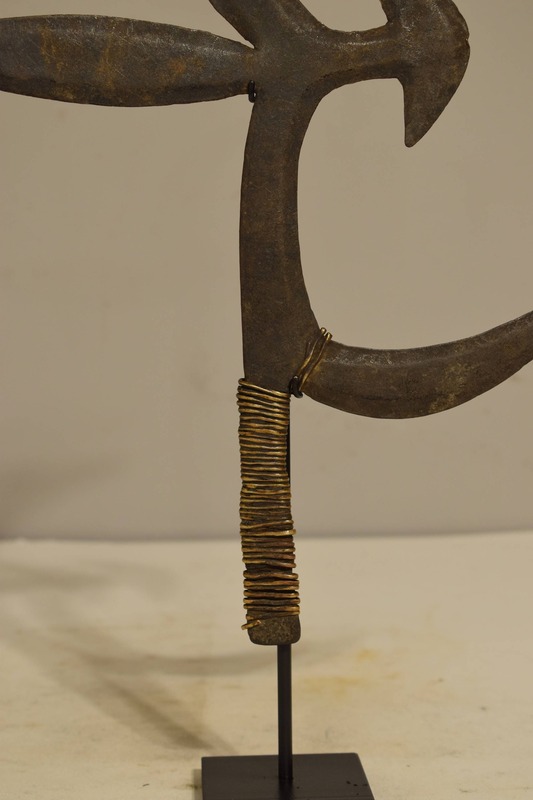 This type of throwing knife is usually associated with the group of tribes belonging to the Ngbaka people, mostly residing in Zaire. It is characterize by the Sickle shaped main blade and two straight side blade the upper one being bigger and wider. 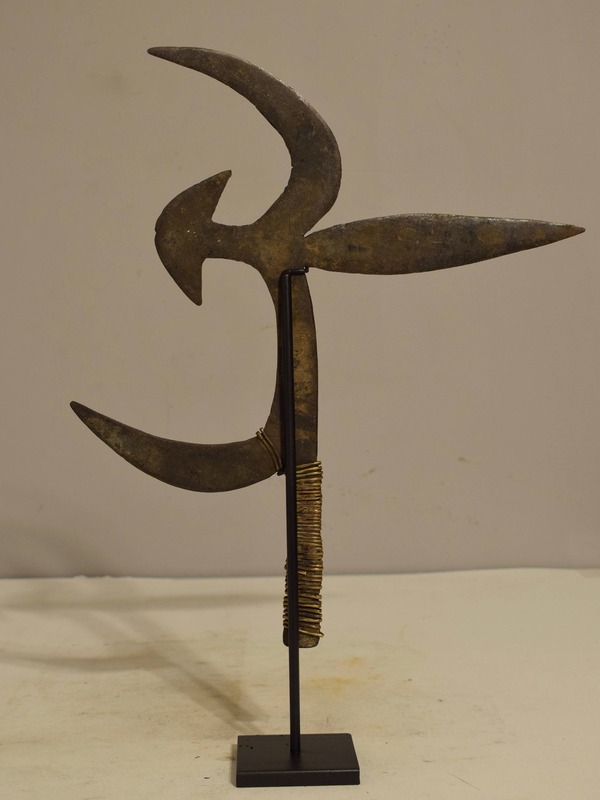 This , finely forged with brass wire around the base. 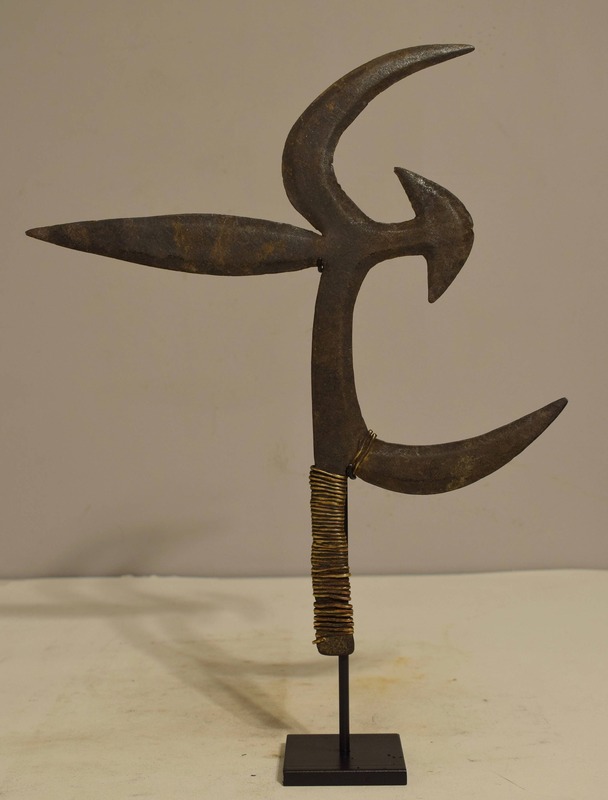 The throwing knives of the Ngbaka have become icons of central African weaponry. The knife, which could be thrown overhand from a standing position or sidearm from either a standing or crouched position, is perfectly balanced around a central point of gravity. This balance allowed for incredible accuracy when throwing the weapon. In addition to their practical application as a weapon, beautiful blades were symbols of wealth that enhanced the prestige of the owner. A beautiful knife to add to your collection or home. Shows age, some discoloration, but is in excellent condition.